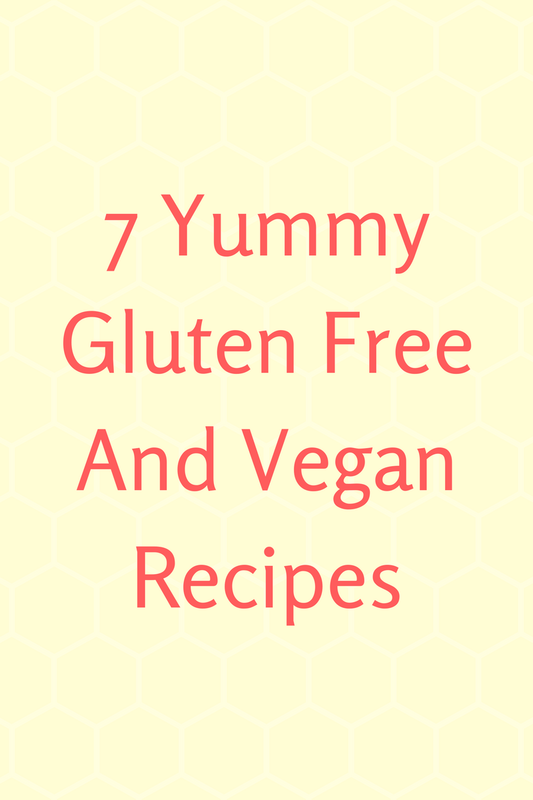 Gluten free and vegan can taste just as great as anything! And these seven recipes prove it! 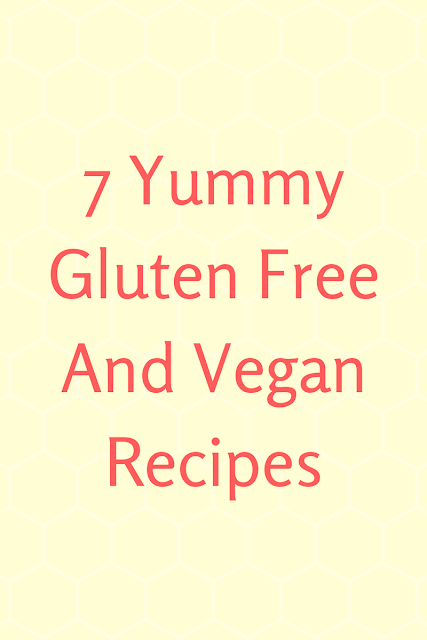 Here are a few recipes that I make fairly regularly and love, even though I'm not vegan. From vegan muffins to chocolate cut out cookies, you will find something to satisfy your tastes. Love red velvet cake? Try these gluten free red velvet whoopie pies. They have a cake-like texture in a cookie form! To me, red velvet is much more about the chocolate/vanilla taste than the color. But you can certainly add red food coloring if you want to! In a large bowl, combine the rice flour, starch, sugar, cocoa powder, xanthan gum, baking soda, baking powder, salt and mix. Add the melted and softened butters and mix into the dry ingredients with a fork until crumbly. Add the flax-egg, vanilla, vinegar and food coloring (if using) and mix. Add the milk and beat until the batter thickens and becomes elastic. Line baking sheets with parchment paper and scoop out your batter into small rounds. Bake for 8-10 minutes. Allow to cool on baking sheet and then completely on cooling rack. Find pairs and fill with the frosting of your choice. Everyone loves chocolate! And no one with food allergies has to miss out. Try any of these gluten free recipes for a delicious chocolate treat! 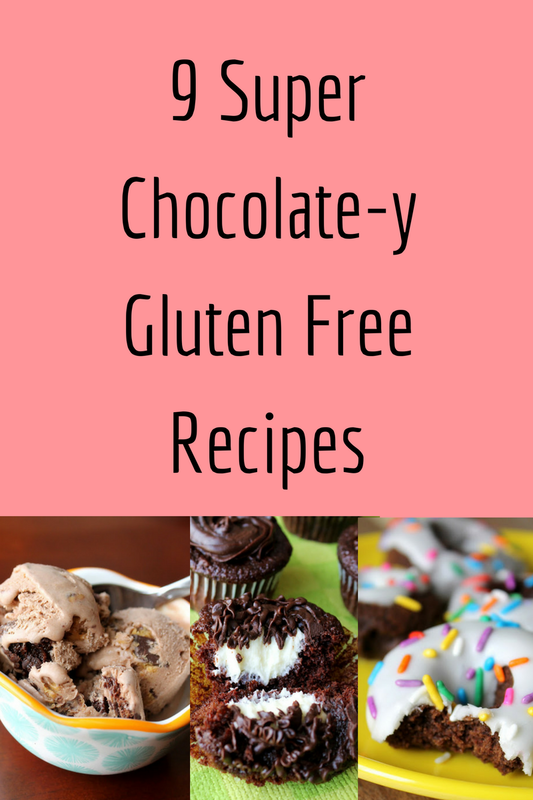 Here are nine of my favorite gluten free chocolate recipes! 1. Chocolate Brownie Cookies. These cookies are filled with a ton of chocolate and are thick and chewy! 2. Triple Chocolate Ganache Filled and Topped Cupcakes. Take chocolate to the extreme with a chocolate cupcake, white chocolate center, and dark chocolate topping! 3. Texas Sheet Cake. A simple and delicious chocolate dessert! 4. Chocolate Brownie and Peanut Butter Ice Cream. Does it get any better than chocolate ice cream with chunks of brownies and peanut butter/chocolate bark in it?! 5. Chocolate Chocolate Chip Muffins. With double the chocolate, these are the perfect treat to get the day started right! 6. Chocolate Zucchini Bread. This is the perfect chocolately treat to make to use up some of that summer zucchini! 7. Baked Chocolate Donuts. Another breakfast treat, these are filled with chocolate flavor and will make breakfast fun! 8. Chocolate Brownie Peanut Butter Cups. These treats are bite-size chocolate peanut butter goodness! 9. Chocolate Chickpea Cookies. Those who are looking for a "healthy" dessert option will love these soft chocolate chickpea cookies! Heat water in microwave 20 seconds if making one egg, 30 if making two. Add flaxseed meal and set aside for 10 minutes. 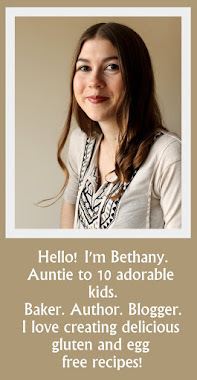 Disclaimer: All of the recipes on my blog are gluten free to my best knowledge, but I may occasionally make a mistake. Check all of your ingredients carefully before consuming. I am not responsible for illness.